Now your entire family can benefit with a plan everyone can follow. Save up to $3,000 on brain scans for your entire family with the Family First Discount Plan. Brain health affects the entire family. Whether you want to help your spouse, kids, parents, or all the above, the Family First Discount Plan makes taking care of your family’s mental health easy and affordable. Now you can save 12% to 20% on getting the whole household better together. Get the help your family needs and start saving! Doing it alone is hard. But families who improve their brain health together have an increased chance of reaching their health goals. 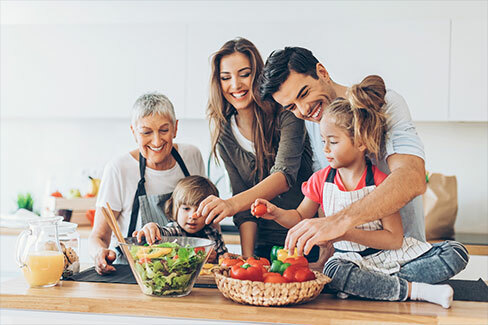 When it comes to changes in diet, exercise, and lifestyle, as well as following treatment plans, families that work as a team are way more likely to be successful doing it together. 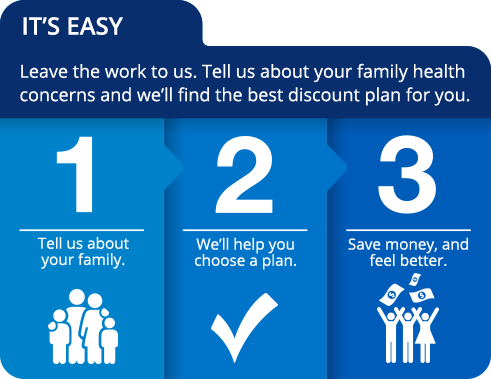 For brain scans with a full evaluation, your Family First Discount Plans are all designed to save you money and optimize your family’s health. Family health can be complicated. We’re here to guide you through it. Talk to a Care Coordinator and we will take care of the rest. This offer (the “Family First Discount Plan”) cannot be combined with any other offer, promotion, or discount. Patients can have different appointment days, but appointment scheduling must be completed on the same call. Discount pertains only to full evaluations, anything less than a full evaluation (partial) only qualifies for a 10% off discount. Rescheduling the appointment to receive a different discount is prohibited. Discounts cannot be applied to appointment deposit. Family First Discount Plan is made to you by Amen Clinics, entitles the purchaser to an Amen Clinics Full Evaluation from the date that you make an appointment by submitting your payment details and paying the deposit towards the advertised price.